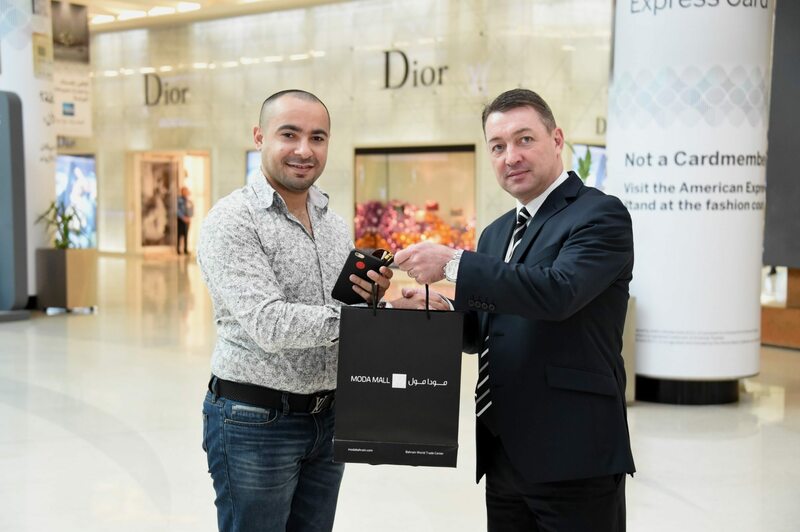 MODA Mall, the shopping and dining experience for every special occasion, today announced the first 3 weekly draw winners of gift vouchers worth BD500 in its ‘Light Up The Season’ shop and win promotion. They are Mahmoud Ahmed, Emad Al Marzooq, and Lulwa Al Faihani. Running until 31st January 2016, brand conscious shoppers are experiencing the thrill of an opportunity to win one of the exciting prizes on offer each time they spend BD50 at the mall. This year, MODA Mall has partnered with American Express to further enhance the shopping experience for cardholders, with three chances to win for each BD50 spent. During the two-month promotion period there are seven raffle draws in total. The first five weekly raffle draws are for BD500 worth of MODA Mall gift vouchers. The sixth prize will be drawn in January 2016 and includes two night’s stay at a 5-star hotel with a spa treatment voucher for two. The grand prize, being drawn on February 1st 2016, is a stunning BMW M4 Coupè, currently on display at the mall. All draws are taking place under the supervision of a representative from the Ministry of Commerce and Industry. MODA Mall is home to a wide range of elite brand name boutiques, a number of which were previously unattainable in the Kingdom of Bahrain. It houses the largest luxury brand portfolio of international designers, with over 80 fashion labels on offer. The mall also has the largest fine jewellery portfolio available in any one venue in the Kingdom, with over 50 brands on offer. MODA Mall, located in the Bahrain World Trade Center (BWTC), offers accessible exclusivity, and is a shopping and dining experience for every occasion, housing the largest luxury brand portfolio in the Kingdom of Bahrain under one well-styled roof. Complementing the retail offering, MODA Mall has a range of dining options from fine dining to quick bites. In addition the mall offers amenities such as a fitness centre, beauty salon, banks, convenience store and a business centre aimed at providing shoppers with a unique experience and one to rival those of top international fashion capitals such as London, Milan and Paris. MODA Mall’s elegant atmosphere, world-class architecture, cool marble interior, glass domes and wide corridors make shopping and dining a pleasurable experience. Spanning approximately 16,500 square meters, the mall offers plentiful parking with 1,700 spaces available to MODA Mall and BWTC customers.